I’ve decided to start a add another element to this blog. Writing Wednesday’s. I’m not an expert on writing. Some will say it takes a certain amount of hours or words written, but I’m not sure about that. I believe that someone can become a great writer. Maybe even me, someday. But writing is such a subjective, living thing, that I’m not sure any one person could be an expert. That someone could say with certain that a story will never be good, or write something they know, without a doubt, will be an instant hit. Audiences change. People change. Desires change. So I seeded the sky with story bubbles, and a cloud burst with words this morning. I woke up, and while I was lying in bed, a scene unfolded in my brain. Word for word. I figured I should probably get up and write it down before it evaporated. Below is an intro to my newest story. 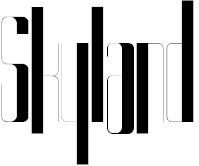 It’s going to be a serialized fiction, and the first part is The Skyland. If you like, then let me know. If you hate it, then let me know. Any feedback is appreciated. And remember, this is just a quick first draft to introduce the concept. Not sure that this scene will make the book as is. Plus, I’m still working on characters, story arcs, and the outline. I hope you enjoy!